I love Mexican food, chili, and cheese. One of my favorite creations is the chili cheese taco or burrito. Whoever thought of putting chili and cheese in a soft taco or burrito shell is my hero. It’s a delicious combination of flavors. I enjoy making my own so I thought I would share this simple recipe with you. 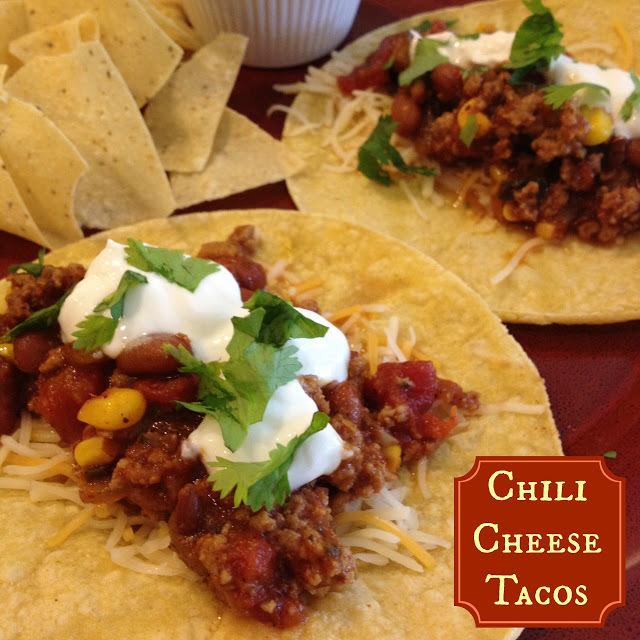 If you have leftover chili or taco soup, you can easily make chili cheese tacos or burritos. You may have all of the needed ingredients at home to make these but if you don’t, the needed ingredients are rather cheap. You can have a tasty Mexican style meal for little to nothing. Please enjoy my recipe! 4. 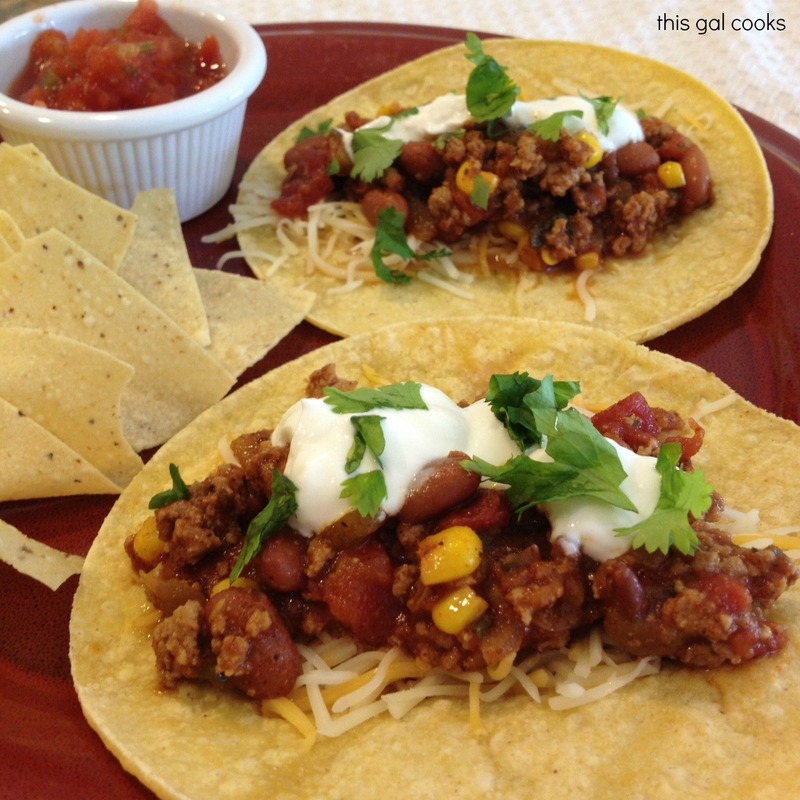 Add some of the taco soup or chili and then top with sour cream. Garnish with fresh cilantro, if desired. These make me hungry for dinner. They sound good and the pictures are great! You know I love tacos and nachos!!! Looks very good! ooh these look delicious! i'm following you now to keep up with the goodies here. I can't cook but love to pretend i can. i'm an evil no-reply blogger. I do this because I have severe nerve damage and the less clicking and typing, the better. I choose to moderate my comments just by viewing them, responding to them to on their blog or email if it's something personal. I also use a speech-to-text program so I don't have to type–using it right now! it helps not getting 50 “thanks” emails a day, right? I hope you understand and visit my blog instead. have a great day and keep cooking.